Approved social media presences are listed below. The ECU Student Guild has a number of clubs that cover a range of interests. Each one operates as their own student-run organisation that affiliates with the ECU Student Guild for support and funding. 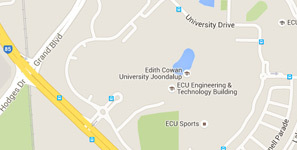 Many of these clubs run their own social presences not affiliated with Edith Cowan University. You can visit the ECU Student Guild's club webpages for more information.